Join our mailing lsit to find out what we're up to. 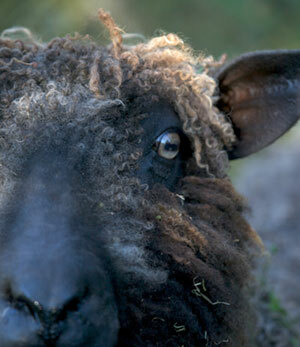 We are dedicated to longwool Wensleydale sheep, natural wool and products, ethically and locally produced. We are offering free knitting patterns when you buy yarn, check out our Mail Order page for more details. We have a wonderful view over the High Weald and a new Studio for you to come and try your hand at our textiles workshops. Under the Sheep to Shawl Project we are focusing our energy on textiles and wool. 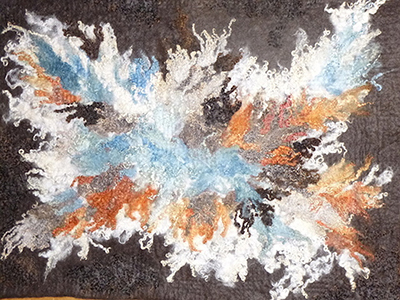 If you are a textile student and have a project why not get in touch and we can see how we can work together. As well producing textiles and running workshops we are passionate about maintaining and enhancing the Long Wool Wensleydale breed, have a look at our flock page to find out more. Have a question? Please feel free to get in contact whether it's about our products or our breeding programme. If you would like to come and see us please call in advance or email us, so you aren't disappointed.